MacKillop Catholic College > About Us > All are welcome; come join us! Historically, Catholic schools existed predominantly to educate children from Catholic families. In recent years though, Church documents including ‘The Catholic School on the Threshold of the Third Millennium’ (1998) have advocated a more inclusive approach to Catholic education, and specifically, a more welcoming attitude toward those with special educational needs, those who are socio-economically disadvantaged, from Indigenous or multicultural backgrounds and those of Christian traditions and faiths other than Catholic. 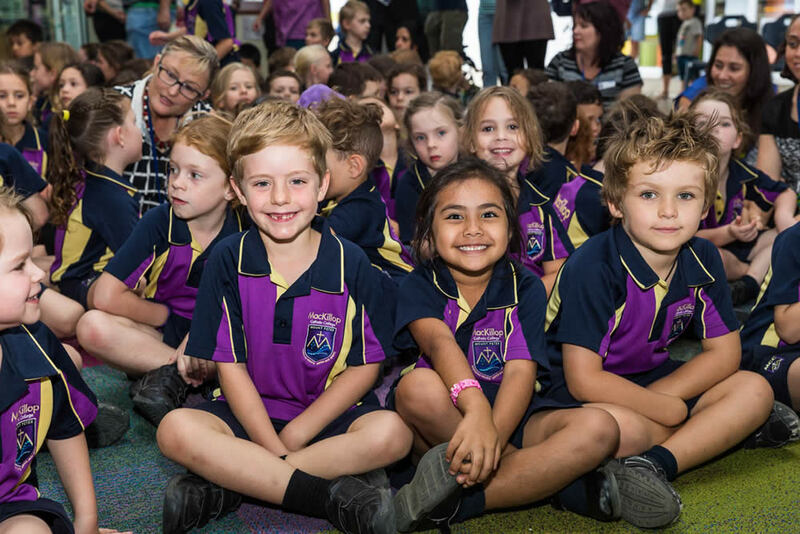 This growing ecumenical and inclusive outlook has prompted Catholic schools to be more open in their enrolment policies and practices. Contemporary Catholic schools are places which welcome all who genuinely seek to be part of the life of the school and wish to share in a vibrant, well-resourced learning environment, based on Catholic faith and values. Those not affiliated with any Christian church, who support the values of the Catholic Church. Catholic schools have always maintained an outreaching focus, with a traditional and often expressed preferential option for the poor. In keeping with Gospel values, no child will be refused a Catholic education due to genuine financial hardship. New or existing parents who find themselves in this situation are encouraged to discuss fee concessions with the school principal who will treat the situation with understanding and sensitivity that respects the dignity and privacy of families. This inclusivity extends to responding to the educational needs of students regardless of their abilities, backgrounds and aspirations. Catholic school communities are places where the uniqueness and individuality of students and families is recognised and welcomed and the human dignity of each student is promoted. Research shows that families in Catholic schools place importance on the broad range of values associated with Catholic schools – social and emotional development, Christian values framework, safety and discipline, partnerships and a sense of belonging. Parents and guardians choose to entrust their children’s future to Catholic schools because of their explicit goals and acknowledged educational quality. Catholic education is continuing to thrive, with enrolments in the Cairns Diocese increasing every year. Such growth is an indication of the strong commitment to providing for the needs of all students in an inclusive, life-giving and supportive school community environment.